Dhaka (ANTARA News) – The Indonesian government encourages the negotiations of the Preferential Trade Agreement (PTA) between Indonesia and Bangladesh, in an effort to increase trade cooperation between the two countries. “To facilitate bilateral trade, we hope the first round of negotiations would begin immediately for the Indonesia-Bangladesh PTA,” Indonesian Ambassador for Bangladesh, Rina P Soemarno, stated in Dhaka, Bangladesh, on Wednesday. 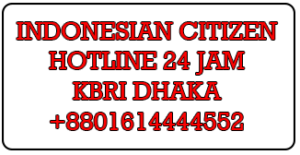 The PT negotiations between Indonesia and Bangladesh were agreed during President Joko Widodo`s state visit to Bangladesh in early 2018. “We hope that there will be a quick conclusion from these negotiations, so that the PTA can soon exist to facilitate increased trade between the two countries, which will run with the preferential tariff,” the ambassador noted. She further remarked that the first negotiations for the PTA between Indonesia and Bangladesh will begin in December 2018. The PTA between the two countries is very important for Indonesia, because Bangladesh is a prospective market where Indonesia seeks to increase its market share. Indonesia is now the fifth largest source of imports for Bangladesh, she added. The trade volume between Indonesia and Bangladesh has reached a surplus of over 80 percent for Indonesia. Indonesia ranks fifth out of 15 main trading partner countries of Bangladesh. Indonesia`s main export commodities to Bangladesh include palm oil, textiles, textile products, rubber, wood pulp, nuts, paper, cotton yarn, synthetic fibers, chemical products, iron bars, copper, mining materials (clinkers, tin seeds, coal and lubricants), spices, handicrafts, and train products of PT. INKA. Meanwhile, Indonesia`s main import commodities from Bangladesh include bags and sacks (jute), packaging bags, steel sheets, and clothing.